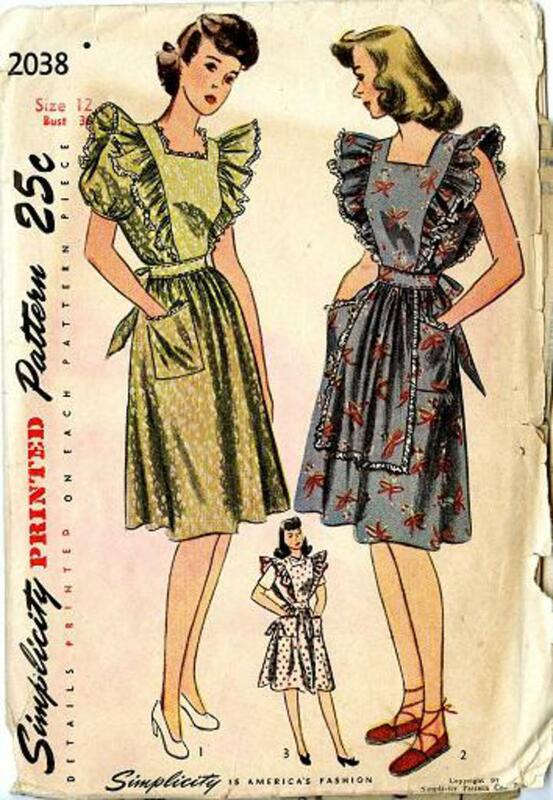 1947 Simplicity #2038 vintage sewing pattern, misses' dress or pinafore, size 12. A "Mother and Daughter" fashion. For 'daughter' see #2056. 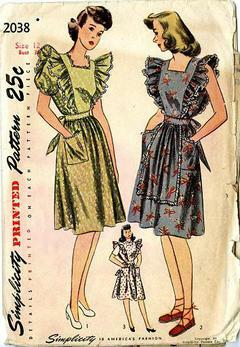 The sleeves of style 1 are softly gathered and bound at the lower edge. The ruffles on the bodice, the patch pocket and the neck edge are trimmed with lace. Style 2 is sleeveless, the skirt front is trimmed with lace to suggest an apron front. Style 3 has open bodice on both sides.